Prime Minister Nawaz Sharif will survive Opposition's political challenges emanating from the Panama Leaks corruption allegations, according to an analysis by Eurasia Group, an international political risk consultancy that bills itself as "the world's largest political risk consultancy". Eurasia Group's clients range from financial institutions to multinational corporations and government agencies. It has offices in New York City, Washington, D.C., London, Tokyo, São Paulo, and San Francisco. Coming on the heels of the Eurasia Group report is the International Monetary Fund (IMF) upward revision of Pakistan's GDP forecast to 5% for the current fiscal year 2016-17. Pakistan's ETF (PAK) is up about 15% this year, reflecting MSCI’s recent announcement that it will add the country to the MSCI Emerging Market index, according to Barron's, Wall Street Journal's sister publication. “Prime Minister Nawaz Sharif of the ruling Pakistan Muslim League – Nawaz party (PML-N) will remain in London until … the end of the month of Ramazan, recovering from heart surgery even as he faces fresh corruption allegations stemming from the Panama Papers. Yet while the mounting allegations will weaken Sharif’s political position at a time when he was not present to defend himself, he will continue to lead the PML-N and early elections are highly unlikely. 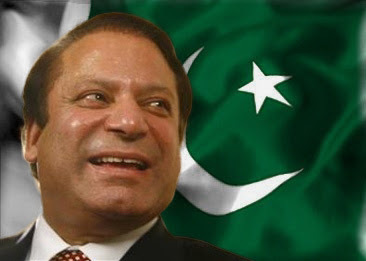 …"
"The PML-N is likely to win the 2018 election with a reduced mandate … The contest to replace him will be complicated by corruption allegations against many main contenders within the PML-N, sparking worsening political instability after the election … Sharif’s … approval rating has experienced a non-negligible drop from 75% in October 2015 to 54% in June 2016, the only poll conducted after the leaks. However, Sharif’s political standing is grounded on the PML-N’s strength in parliament, the tacit support of the Army, and the $46 billion China Pakistan Economic Corridor – a set of infrastructure projects critical to Pakistan’s future economic performance—negotiated by Sharif and his PML-N. The PML-N remains the largest party in the lower house, and would not pass a motion of no-confidence in the PM, and it retains control of its Punjab heartland, the most populous area of Pakistan. …"
Expectation of political stability is drawing increasing foreign investment to Pakistan. Two multinational giants acquired 2 Pakistani companies in just the last week alone as part of their growth strategy to establish presence in Pakistan. Dutch dairy giant FrieslandCampina acquired 51 % of Karachi-based Engro Foods Limited, the second largest dairy producer in Pakistan. In the same week, Turkey's Arcelik announced purchase of Dawlance, Pakistan's market-leading home appliance maker. Both cited opportunity for double-digit growth in the emerging market as the main reason for their acquisitions. Smart money is starting to flow into Pakistan again as the world recognizes the country's new political stability and its tremendous economic potential as a growing emerging market. Investors and businesses are looking to profit from expanding Pakistani economy backed by growing middle class consumption and rising Chinese investments in energy and infrastructure. The two biggest emerging markets are probably growing much slower than official data suggests, part of a trenchant downturn in growth seen around the globe, according to Ruchir Sharma, head of emerging markets equity and global macro at Morgan Stanley Investment Management. China's gross domestic product is more likely expanding 4 percent to 5 percent than the official rate of more than 6.5 percent. India's pace is probably five percent to six percent, instead of the stated number o ..
Pakistan’s prime minister Nawaz Sharif, who underwent open heart surgery in the UK nearly five weeks ago, returned home on Saturday night, facing the prospect of a battle for his political life amid a clamour over the overseas wealth amassed by his children. The premier landed in Lahore, his personal political stronghold, and was received by senior leaders of his ruling Pakistan Muslim League-Nawaz (PML-N) party, as he braced himself for the possibility of mass protests against his administration. “I have now fully recovered and I am back to serve my country” he told a small group of reporters at Lahore’s Allama Iqbal International Airport, before he flew by helicopter to his palatial private residence just outside the city. Mr Sharif is expected to meet his key political advisers on Sunday to discuss the prospect of protests again him led by the cricketer turned politician Imran Khan, and the Pakistan People’s party of former president Asif Ali Zardari. “The coming weeks may be very important for the prime minister’s political future,” a senior government official in Lahore told the Financial Times. Before his surgery, Mr Sharif was already coming under pressure to allow an independent investigation into how his three children had amassed considerable offshore wealth, which was revealed by the leaks of the Panama Papers. According to the documents, Mr Sharif’s offspring own significant assets overseas, including luxury properties overlooking London’s Hyde Park. The prime minister had insisted that his family’s foreign assets were the profits from the sale of its steel business in Saudi Arabia, but few were convinced by his explanations. During his recent medical absence from Pakistan, members of his party held talks with opposition about creating a high level commission to probe the family’s assets, and the source of the revenues, but they failed to agree on the terms. Since then, the clamour for an independent probe has mounted. The premier was facing a “more united opposition, and questions over Panama leaks from ordinary Pakistanis have refused to go away,” Mr Hilaly added. “In the three years since he [Mr Sharif] became the prime minister, this is his toughest challenge”. Western diplomats say Pakistan’s normally squabbling opposition parties appear to have reached an unprecedented degree of unity against Mr Sharif, after talks on a commission to probe the family wealth failed. At a time when the world has turned its focus on India, its neighbour Pakistan is running away with all the honours in financial markets. Data compiled by ETMarkets.com shows you could have made three times more money by betting on the Karachi Stock Exchange's KSE30 index than on Bombay Stock Exchange's Sensex. The KSE30 has given 18 per cent returns so far this year through July 12, making it the best-performing Asian index. Compared with that, the BSE Sensex has given just 6% .. While, IMF has marked India as the brightest spot in the global economy, it has also been raising its forecast for Pakistan. In May, IMF raised Pakistan's GDP forecast for FY2017 to 5 per cent from 4.7 per cent. "Growth is expected to strengthen to 5 per cent in FY 2016-17, supported in part by an expected pickup of investment related to CPEC ..
Not only that. The London-based BMI Research, a financial market analysis firm, has rated the country among the next big drivers of global economic growth. Others on the list are Bangladesh, Ethiopia, Egypt, Kenya, Indonesia, Myanmar, Nigeria, Philippines and Vietnam. economy, supported by higher wages in the public sector. investor confidence and undermine growth. The Asian Development Bank (ADB) has forecast further boost in Pakistan’s economic growth during 2016 and 2017 due to high investment in infrastructure, improved security environment and energy supply. “In Pakistan, further improvements in energy supply, higher infrastructure investments, and an improved security environment will help push up growth in 2016 and 2017,” said an ADP report released on Monday. Growth in Asia and the Pacific’s developing economies for 2016 and 2017 will remain solid as firm performances from South Asia, East Asia and Southeast Asia help offset softness from the US economy, and near-term market shocks from the Brexit vote. In a supplement to its Asian Development Outlook 2016 (ADO 2016) report, released last March, ADB now forecasts 2016 growth for the developing economies at 5.6%, below its previous projection of 5.7%. For 2017, growth is seen unchanged at 5.7%. “Although the Brexit vote has affected developing Asia’s currency and stock markets, its impact on the real economy in the short term is expected to be small,” said Shang-Jin Wei ADB’s Chief Economist. Growth in 2016 and 2017, the report notes, is led by South Asia, and India in particular, which continues to expand strongly, while the People’s Republic of China (PRC) is on track to meet earlier growth projections. In East Asia, despite muted activity in Hong Kong, China and the Republic of Korea, growth forecasts are unchanged at 5.7% in 2016 and 5.6% in 2017, with the world’s second largest economy, the PRC, on track to meet projected growth of 6.5% in 2016 and 6.3% in 2017. To support its targets, the Chinese government is expected to continue using fiscal and monetary stimulus measures. South Asia, meanwhile, is expected to be the fastest growing subregion, where India’s economy is projected to grow at 7.4%. While the Bangladesh economy will remain robust on the strength of its garments sector. In Southeast Asia, growth projections for the subregion in 2016 and 2017 remain unchanged at 4.5% and 4.8%, with solid performances by most economies in the first half of 2016 driven by private consumption. The exception was Vietnam where the economy came under pressure from a worsening drought that caused a contraction in the agriculture sector. Continued soft commodity prices and the recession in the Russian Federation have further dampened the growth outlook for Central Asia, with the earlier 2016 forecast of 2.1% trimmed to 1.7%, and 2017 cut to 2.7% from 2.8%. The slump in revenues from hydrocarbon exports are affecting fiscal consolidation efforts in Azerbaijan, Kazakhstan, Turkmenistan and Uzbekistan, while lower remittances, particularly from the Russian Federation, continue to hurt domestic consumption in the subregion. Some recent events and statements originating in Washington, Warsaw (NATO summit) and Kabul, seemed to have created a triumphant, though largely misplaced impression that both India and Afghanistan have managed to encircle Pakistan. An appended perception was that of Islamabad’s international isolation. But these noises beg some reflection. Is Pakistan really isolated? Let us look around for an answer. China has stuck its neck out for a mutually beneficial multi-billion dollar China Pakistan Economic Corridor (CPEC). Russia too, is embarking on a new phase of relations with Pakistan, particularly after the latter’s entry into the Shanghai Cooperation Organisation. The World Bank has loaned some $5.5 billion to the country in the last three years, which wouldn’t be possible without a nod by Washington, which holds majority shares in the Bank. And what about power brokers in Washington DC itself? Well, one finds a lot of cockcrows, trying to belittle Pakistan; among them, Balochistan-fame congressmen like Dana Rohrabachar, or the Afghan-American Zalmay Khalilzad; although he has served as the US ambassador in Afghanistan, but in Washington he sounds more like the Afghan ambassador. During the July 12 proceedings of a sub-panel of the House Foreign Affairs Committee, Khalilzad and Bill Roggio, senior editor of the publication Long War Journal, accused the Pakistan military of maintaining ties with the Taliban and Haqqani militants. This is the time to increase the pressure by suspending all assistance to Pakistan — military and civilian — and move towards isolating Pakistan internationally, including not supporting IMF renewal of financial support, Khalilzad argued in his testimony, which was vociferously shared with the media by Indian and Afghan officials in Washington. Unlike these noises by presumably directly or otherwise paid lobbyists, remarks by Senator John McCain and other members of a bipartisan congressional delegation to Pakistan and Afghanistan after their Islamabad visit, offered an interesting read — contrary to the demands of isolating Pakistan. “They have cleared out that part of Pakistan… they are looking at securing the Pakistan border in a more substantial way… I would acknowledge it a step in the right direction”, Senator Lindsey Graham said in Kabul, according to a Voice of America report. Graham also spoke of “a new attitude [under General Sharif] that is beginning to show some progress. “The COAS says I hope you leave your troops here — he told us that — because if you withdraw too quickly the place is going to fall apart and it will hurt us,” Graham recalled during a press talk. Senator McCain, too, acknowledged the progress made in Waziristan and underscored the importance of good relation among US, Pakistan and Afghanistan, but spoke of the Haqqani network as the “major impediment” in relations that required serious action. True that the Haqqani Network represents a major hurdle in the trilateral relations and that nearly 40 per cent of the US security assistance is now tied to action against this entity, but this certainly doesn’t indicate a break or a tool to isolation, something acknowledged by spokespersons of the State Department and the Pentagon. In an obvious reference to the Zarb-e-Azb operation, the Senators as well as the spokespersons acknowledged “the progress in shutting down terrorist safe havens”, and restoration of government control in many parts of Fata and elsewhere Pakistan. The BRICS grouping is passe and the top emerging markets are losing sheen. Brexit has battered stocks world over and currencies across economies are weakening. In times like these, guess what’s working for the global equity markets? Pakistan. The south Asian nation, mostly in the news for terrorism and political violence, has beaten major Asian economies this year in stock market performance. In 2016, Pakistan’s benchmark equity index, the KSE 100, has been one of Asia’s best performing. In fact, it is the fifth-best performing stock index globally. Bloomberg even referred to Pakistan as an Asian “tiger,” in a report. In June, the American stock index firm MSCI included the KSE 100 in its emerging markets index, which represents 10% of the world’s market capitalisation. At the same time, the MSCI did not include China’s mainland A shares, which are traded in the local currency renminbi. One reason for this exclusion is that China’s economy hasn’t exactly been firing up, thanks to a drop in manufacturing. Here’s how the KSE 100 compares with another index: Since the beginning of 2016, till July 11, India’s S&P 100 index has gained 6.67%, while KSE 100 is up almost 17%. Concerns have mounted over the political future of Pakistan Prime Minister Nawaz Sharif after his planned return to Islamabad this week was cancelled on health grounds, following his open heart surgery in London. “Due to an infection in one of the incisions in his (Mr Sharif’s) leg, he is suffering from fever. Doctors are treating him for the infection,” said an official statement. With his scheduled return to Islamabad on Tuesday from his native city of Lahore further delayed, Mr Sharif has been away from the Pakistani capital for seven weeks. He returned to Lahore on July 9 surrounded by questions over his ability to continue running the government from a distance. “You can’t be an autopilot Prime Minister indefinitely. This (delay) will add to complications for the Prime Minister,” said a senior Western diplomat. Ahead of the surgery, Mr Sharif was dogged by questions from the opposition when three of his children were found to own significant overseas assets that were revealed in the leaked Panama papers. These included properties overlooking London’s Hyde Park. Mr Sharif insisted that his family’s overseas assets were gained from profits from the sale of steel businesses in Saudi Arabia. But analysts warn that Mr Sharif’s future has been overshadowed by his refusal to consider appointing a successor, even temporarily, as he deals with his health and the fallout from the Panama papers. “This episode shows that the entire concept of a smooth transition either within political parties or the parliament simply does not exist in Pakistan,” said retired Lieutenant General Talat Masood, a commentator on security and political affairs. However, politicians from Mr Sharif’s Pakistan Muslim League — Nawaz (PML-N) — said the Prime Minister also faced pressure from the military, led by General Raheel Sharif, the army’s chief of staff, “after recent noises seeking an army intervention”. First, the US mission in Afghanistan is the same today as it was in 2001: to disrupt and defeat terrorist networks that seek to attack its interests and homeland and to deny them safe haven. That mission remains urgent, and it is unfortunately not over yet. of American troops and the success of their mission in Afghanistan, for the stability of the region and for the national security of both Pakistan and the US. But recently, the US-Pakistan relationship has been strained. Among other things, limitations on US assistance to Pakistan and congressional reluctance to approve subsidies for the sale of defence articles have added to tensions between the two governments. Despite this and other recent difficulties, US and Pakistani leaders cannot allow ambivalence and suspicion to fester. Common interests in counterterrorism, nuclear security and regional stability are too important and too urgent. For too long, the US has viewed the bilateral relationship only through the prism of Afghanistan. To achieve real progress, the US must make clear its enduring commitment to Pakistan’s stability and economic growth. For its part, Pakistan must take on and eliminate havens for terrorist groups such as the Afghan Taliban, the Haqqani network, Lashkar-e-Taiba and Jaish-e-Mohammad that operate within its borders, attack its neighbours and kill US forces. Pakistani leaders, including Prime Minister Nawaz Sharif and the army chief of staff General Raheel Sharif, have made recent commitments to do just that. Following through on these is critical. This will be difficult for Pakistan. It will require political will and entail costly sacrifice in blood and treasure. That is why there will be sceptics in the country opposed to decisive efforts to defeat extremism. But Mr Sharif and Gen Sharif have heard such pleas for restraint before. There were those who said it would be too hard to take on the Pakistani Taliban after it attacked a school in Peshawar and killed more than 130 children in 2014. Fortunately, Mr Sharif and Gen Sharif recognised the threat that these militants posed to Pakistan and took action. Thanks to these efforts, the perpetrator of the Peshawar school attack is no longer a threat to Pakistan or any other country. In 2014, Pakistan launched Operation Zarb-e-Azb in North Waziristan, a tribal area along the Afghan-Pakistani border where militants had operated with impunity for decades. During my visit to Miram Shah in North Waziristan, I saw the city’s bazaar that once housed bomb-making factories, arms dealers and office fronts for terrorist groups. While Pakistan’s civil institutions responsible for public work increasingly show a dismal performance, the Pakistan army continues to remain responsible for a variety of construction-related mega projects in otherwise inaccessible areas. This follows more than five decades of experience by the army in undertaking challenging assignments including the Karakorum Highway or KKH, the road built with Chinese assistance, which links China’s Xinjiang province with Pakistan’s northern Gilgit-Baltistan province and onwards to the country’s plains. At the outset with the CPEC too, the army’s promise to provide a full security cover for Chinese workers in Pakistan, marked the critical element that buttoned up this project. In the long term, Pakistan’s ruling politicians may have a valid point in seeking to lead the CPEC initiative. And yet, that ambition needs to be built with a long overdue reality check. The country’s civilian authorities need to embark on an internal reform plan first rather than seek to block the army from assuming a lead role in the execution of the CPEC. Such a plan must be built upon three equally vital aspects. First, there needs to be a complete political consensus over the geographic layout of the CPEC and its associated projects. Signs of infighting between different political groups have in fact harmed the view of Pakistani politicians, reinforcing their image as a short-sighted warring bunch rather than a mature and politically responsible community. Second, it’s vital to put safeguards in place for a radical improvement in the performance of key civil institutions, enabling them to take greater responsibility for the execution and eventual management of CPEC related projects. The total work cut out under this initiative will likely continue till the end of the next decade if not beyond. This creates a sufficient time frame for the army to first take charge of this valuable initiative and hand over responsibilities for its eventual management to Pakistan’s civilian infrastructure following a set of robust reforms. Finally, it’s important for Pakistan’s ruling politicians to consider different types of fallouts from antagonising the armed forces, all in the name of promoting democracy. In the case of the CPEC, some politicians have eagerly pushed for exclusive civilian control on this project as a step towards strengthening Pakistan’s democratic evolution. Yet their initiative will only be an exercise in futility until such time that they reconcile themselves with Pakistan’s fundamental realities. For now, General Raheel Sharif and the Pakistan army exclusively remain the main guarantors for the success of what is set to transform Pakistan as never before.